With the countless emails I am receiving from A class members there are few points I would like to put on paper. This is my personal view only and even as class president I have not the power or authority to make the changes I suggest. However with enough support the class can decide their future. 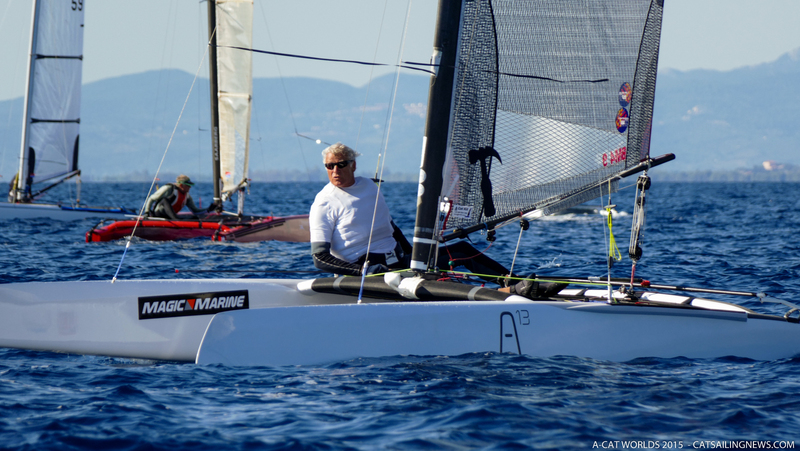 Firstly with the development of foiling boats, it is clear that many people are excited about the future of the A class. This will no doubt bring new people to the class and the A class will remain an exciting class for many years to come. On the other side of the argument, the A class was already a very strong class prior to the development of foiling and has many long term members who have been loyal supporters of the class for many years. The average age of the class is somewhere over 50 years and many of these older members will never make the step to foiling boats. My major concern is that many of the older members of the class will stop sailing, so although many will argue that the foiling is good for the class, I predict we will loose many of our long term members in the process. The moth class went through a similar period, but there was one major difference. The old floating moth class were almost extinct before the invention of the foiling moths. The A class is in a very different situation. The older members are the backbone of the class. These are the guys who run it and turn up to all the small regattas through out the year. Without their membership we will suffer a major loss. By now it should be obvious where I am heading with this. I am proposing to split the class on the score sheet. In the past there has been a lot of opposition to this idea, but whether you like it or not, I think the reality of the worlds shows that the class it already split. 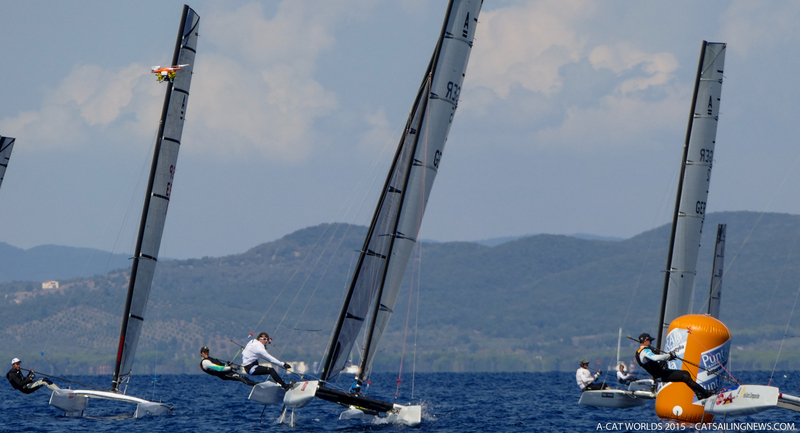 The speed difference of the foiling boats around the course is now so different that you can not compare them. By the end of the regatta Glen was foiling in 5 - 6 knots. I think if races are sailed within the class rule wind limits the foiled will always win. The development has only just begun so there is little doubt the boats will only get faster and fly earlier. This is what A class is all about so I make no opposition to future development of the class. What does bother me is that we destroy something that has worked so well for many years and has been enjoyed by so many. In my opinion, the future is just common sense. We should preserve the classic c board boats as a class in their own right for as long as good numbers exist. We should also allow the new foiling A class boats to go on developing to become the ultimate racing machines. With the vote on rule 8 being so close to succeeding it is clear the discussion will not end here. Perhaps this is the solution. Preserve the classic A class with C boards as a separate division and then allow the foiling boat to be more open with development than it currently is. How could this work? I think Italy, France and the USA have already proven that with a double ranking list it can work. We all remain under the one class, race on the same events but are scored in different divisions. If we continue supporting open worlds, this could solve a lot of problems. We could race foiling boats in one division and floating boats in the other. Alternatively if numbers are lower all could race in the same fleet. I believe it is so important that we do something to support the classic boat owners and make sure they continue attending A class events. It can only be positive for the class. The second hand boats will again have value. 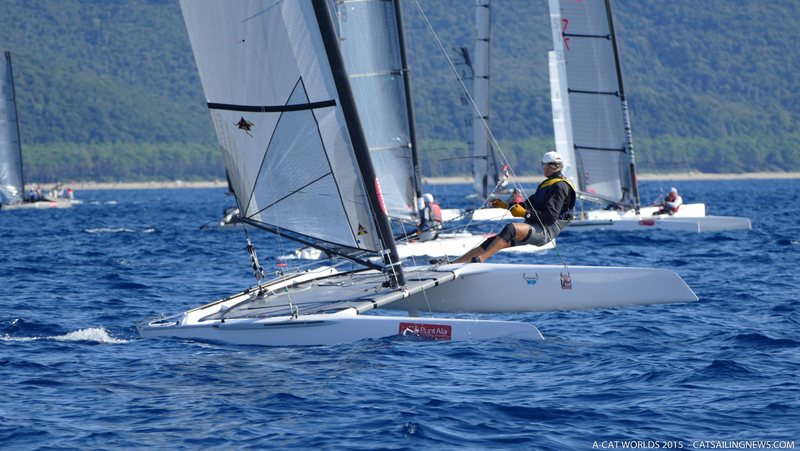 Our older sailors can continue for many years to come and even the young sailors with less money can start sailing A class in the classic fleet until there are experienced or wealthy enough to join the Formula 1 of cat sailing. I have written this in the hope to stimulate some positive support. I have seen and heard a lot of negative reports from sailors who do not wish to continue in the class. I simply think losing members in order to move ahead in the development world should not be necessary. We can have the best of both worlds if we manage it correctly. I hope each national association will carry out some discussions around this issue to get a better feeling for what our members really want for the future.